Why we use the oils we use? The 3 main base oils we use are Extra Virgin Olive Oil, Certified Organic Extra Virgin Coconut Oil and Certified Organic Castor Oil. Our Olive Oil is Extra Virgin and we are proud to be able to source this locally from a local Olive grove. It is organically grown, farmed and produced. The colour of it is green so we know it is such good quality and are excited to use this in our soaps. Olive oil offers such great goodness to skin and body products. 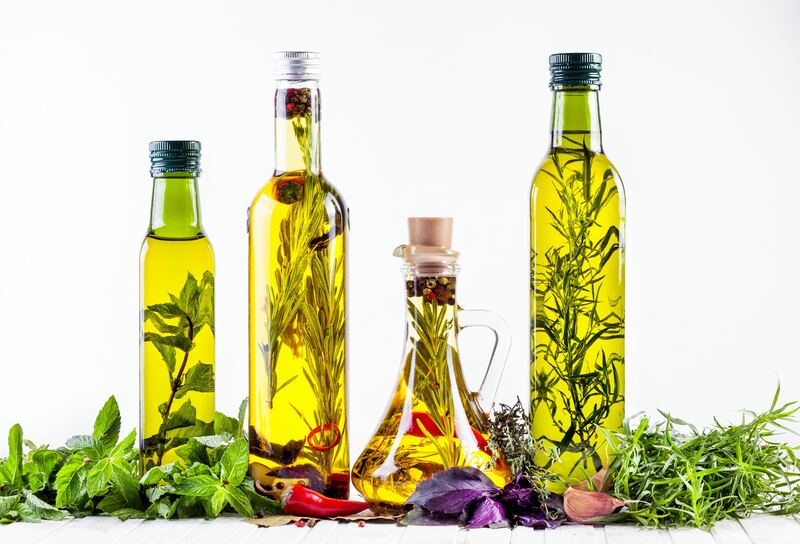 Olive oil contains antioxidants such as vitamin E, polyphenols, and phytosterols, and offers many health and skin benefits such as, anti-aging, mosturizing, cleansing and doesn’t clog the skin pores, plus much more. We feel that having a high olive oil content in our soaps makes our soaps so much more creamy and gentle on your skin. Ours soaps come either scented or unscented. Those that are scented, are scented with essential oils only. All our essential oils are purchased from Tasmania and Queensland. These essential oils are direct extracts from plants, fruits, woods, flowers etc. They are as pure as you can get. Our orange essential oil for example is orange in colour and smells exactly like a very sweet, delicious, homegrown, organic oranges. Our customers, just like us, love the aroma that these wonderful pure plant extracts have to offer. Different essential oils offer different attributes, for example, lavender is known to be very relaxing, whilst peppermint offers a wakening affect and tea tree provides wonderful anti-septic properties. Those suffering from eczema, allergies and severe skin problems have the option of scented or unscented when purchasing from Udderly Healthy Soaps. Some may find that the essential oils in the soap help their skin conditions, while others may choose to stick to the plain soap. Oh, the coconut oil! We love using the coconut oil in our soaps, and we feel that it not only makes a beautiful soap, but is a fantastic oil for your skin, and you’ll love the goodness it offers you. First off, we don’t know of any other soap manufacture that uses Certified Extra Virgin Coconut Oil. It is far cheaper to use the “cheap” coconut oil, but it will be what is called RBD – Rifined, Bleached, Deodorised. This processing has taken out all the goodness and nutrition from the amazing oil. So, yes, you’re not eating it, but given that our skin absorbs so much, who would want to wash themselves in such a processed and modified oil? Coconut oil is known to be such a wonderful skin loving oil, and used in many natural skin and body lotions. It offers, many great benefits like, anti-aging, soothing and softening to the skin, moisturizing, anti-fungal, anti-bacterial and much more.